Excellent! Thanks for posting. 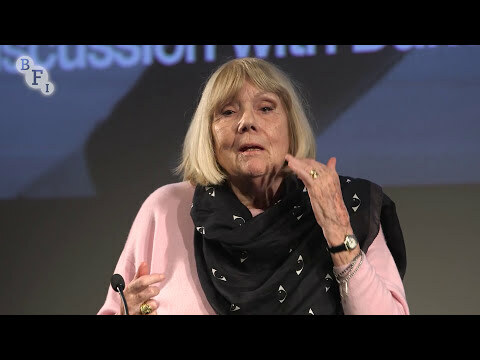 It's good to hear her talk about OHMSS currently since she didn't appear in Maryam d'Abo's "Bond Girls Are Forever" documentary and the interview footage they used in the "Inside OHMSS" DVD documentary was from the time the film was made. She should be in every documentary about Bond girls/women as her character was so pivotal to the series. Feel free to repost the video, I'm glad to see it on YouTube. I think she and Lazenby should record an audio commentary to be put on the next OHMSS DVD/Blu-Ray release while they're still with us. She's a idiot. OHMSS one of the best, most successful films in the franchise? It's great but that's rubbish. Most people on the street don't even know/think it's a real Bond film. I love it but OHMSS is infamous for all the wrong reasons. She's delusional if she thinks otherwise and screw her for talking smack about Lazenby. I'm with him on this argument. Bros before hoes. Dear Reaper: I don't appreciate the "hoes" comment, no matter how it's written. 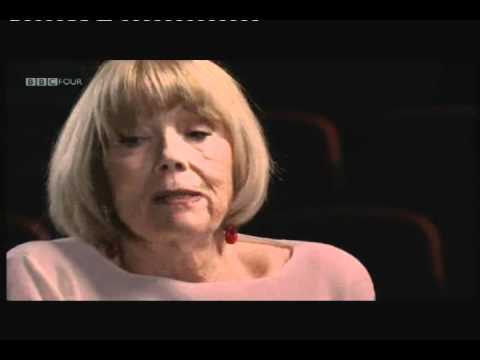 Diana Rigg an idiot? Are you just plain ignorant? She talks intelligently and honestly about her experiences in theatre, tv and film, including OHMSS. I personally know old crew members who worked on OHMSS and they have told me that Lazenby threw his weight around and was not popular with the cast and crew. yes thanks for the post! Wow, this is quite a find, as I understand Dame Rigg doesn't usually discuss the film. Note that she praises his performance. Only one man could go all out to both land the acting gig of the decade and then do everything he could to sabotage it. Love Diana rigg. George was just immature and I am sure that it took him years before he finally made peace with himself regards to how he blew his big chance. When offered the 7 picture deal he should have signed a 5 picture deal, took some acting classes, in between Bond gigs start to slowly ease into other roles on various pictures. He just listened to the wrong people at this one time when he had his "big break"
Hi, @ColonelSun. Could you tell me if there's any truth in Lazenby only being given one take to say his lines, apart from the ending shot of Bond crying? Diana Rigg has spoken about OHMSS again. Never understood why EON sort of ignore this film. It was a classy film which made a decent profit for them. I think its just a case of sourness, after the struggles they had with GL. Just one other thing. Diana Rigg's memory of the film and GL seem to be a bit clouded these days. There have been extensive articles written about what happened on OHMSS, and they don't seem to tie up fully with Diana Rigg's version of events. Oh, come on! How could you not salivate over MGW's sterling turn as "man reading newspaper" during the scene inside the Haitian hotel from QoS?! I think I remember reading around early 2009 that Sir Ian McKellen referred to it as the moment when he gained a renewed faith in the craft. Diana rigg is a classy lady. George lazenby is a trivia question, barely an historical footnote. Hearing some of you try to make him out to be the Lawrence Olivier of the series is laughable. The man is an arrogant, wife beating moron. Lazenby has admitted this, as well. I have to give him points for being honest about himself, even if many don't want to. A good interview, though Diana Rigg, very quickly skipped over the George Lazenby saga on OHMSS. It would be interesting if the Laz and Dame Diana would team up and make an audio commentary for a DVD/Blu-ray release of OHMSS. Would love that, but it wont probably happen.